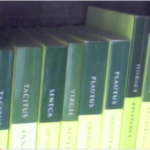 Major Latin Lit News: 71 New Manuscripts of Ovid have been Uncovered. Epictetus on Eating, Digesting, and Vomitting. And Philosophy.